New Delhi: Expected to record a landslide victory in Lok Sabha polls in Left-ruled Kerala, the Congress, however, on Saturday decided not to field its three top leaders for the polls. The party''s screening committee meeting, which delivered on the issues since last two days, decided not to forward the names of AICC general secretary in-charge KC Venugopal, former Chief Minister and AICC general secretary Oommen Chandy and KPCC president Mullappally Ramachandran. This was announced by Mr Ramachandran and state opposition leader Ramesh Chennithala here. The final decision, however, will be taken by the Congress''s Central Election Committee headed by party president Rahul Gandhi. 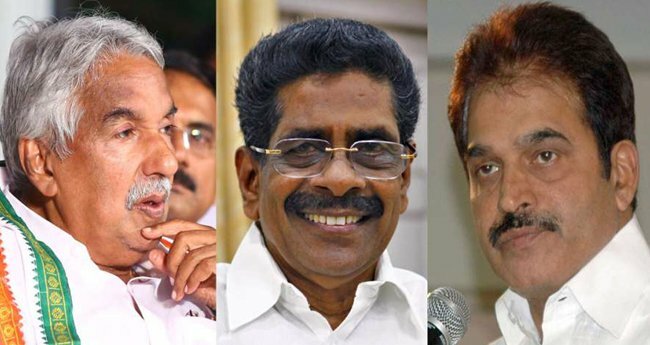 According to sources, there are different reasons for the party decision not to field the three senior leaders into the electoral fray even as public mood and various surveys indicate that the Congress is heading for a landslide victory. The fear of defeat is not as much as the ''unwillingness'' to give up coveted posts for leaders like KPCC chief in the home state, while with regard Mr Chandy, his supporters want him to continue in the state politics. The two-time MP from Alappuzha, Mr Venugopal has already announced that he will not contest this time citing his party responsibility at centre.